Troop Meeting Times - the General Troop Meetings will run from 7:30 p.m. to program's end at 8:45 p.m.
Parents Note: Please help by reminding your Scout he is to be on time for the start of the meeting. Uniform Policy - The Troop is going to focus on greater adherence to uniform guidelines with some flexibility for routine meetings. 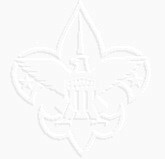 Scouts must wear the full Class A at the first meeting of the year. If he's approved by the Scoutmaster, then the scout may wear, at minimum, a Class A shirt (with appropriate patches and insignia) and Troop 76 or other approved neckerchief/slide or bolo tie. Scout pants and belt, although always welcome, will not be considered a requirement for such routine meetings. Further, Scout shirts must be tucked neatly into pants and if a cap/hat is worn, it must be an approved Scout cap/hat or be taken off while in the meeting. The full Class A uniform, including belt, pants, socks, etc. must be worn for Courts of Honor, PLC Meetings, Board of Review, Scoutmaster Conferences and any Tuesday night meeting which is designated, in advance, a Class A meeting - for example when important visitors are attending like the recent Webelos visitors. Meetings requiring Class A will be so listed on the "What's Happening Soon" page on the website (linked to from the top right of the Troop76.org Home Page). In addition, full Class A uniforms will continue to be required for "public" Scout activities like Service Projects, traveling to Campouts, and, of course, Summer Camp. Parents Note: Please help your son remember that wearing his Scout uniform is not an option, it is his personal responsibility & obligation and something he should do with pride. Attendance & Advancement - Our Scout leaders will focus at Troop Meetings and Campouts opportunities for Scouts to progress in their rank advancement. To help support this initiative, it's important that Scouts working on ranks, up to First Class, remember to bring their Scout Handbooks to every Troop Meeting and campout so that requirements can be registered in their books. To help plan and manage these advancement and other activities, the Troop will take attendance at the beginning of Troop meetings. In addition, note will be made if the Scout is in appropriate uniform and, for those under First Class rank, whether they have their Scout Handbook. This information will help us keep track which Scouts have been exposed to certain advancement subjects, and will be used to guide future skill sessions. It also helps Troop leaders identify Scouts whose participation has dropped so we can reach out and encourage them to become more involved. Leadership Commitments - When a scout accepts a leadership role in the troop, adults leaders will maintain an active dialogue about the importance of being a leader. This commitment will take the form of a clearly defined job description. This will also include some measures of performance that will enter into rank advancement deliberations. If you're interested in learning more, the details of these job descriptions are available as a series of "Leadership Cards" (click here to read them). Please note, however, that at present, these Cards are very much drafts and will no doubt undergo change as our Scout Leaders map out the commitment levels they feel the Troop needs and that they can honor. Troop 76 is “scout led, adult supported” - By making scouts responsible for making decisions and following through on plans, they learn invaluable life skills such as accountability, leadership, independence, mentoring and teamwork. During the journey, scouts also learn how to pitch a tent, build a campfire, backpack and many other outdoor skills. All the while, scouts have fun sharing these activities with their friends and form new friendships. In keeping with these goals, all troop outings and activities must be approved by, and scheduled through, the Patrol Leadership Committee, PLC. In addition, all troop outings and activities must be reviewed and approved by the Scoutmaster. The adults and scouts jointly developed and agreed to these policies. We all believe will benefit the Troop in its Scouting programs. If you have any questions or wish to provide feedback, please feel free to contact any of our Scout Leaders whose contact information you'll find on the contact page.